Implementing components in order to enhance Tech stack. Should have Strong Java concepts and data structure concepts. Hadoop Concepts would be an asset. Having knowledge of the Spring framework. Self-learner who can learn by watching than hand holding. Fragma Data Systems Pvt. 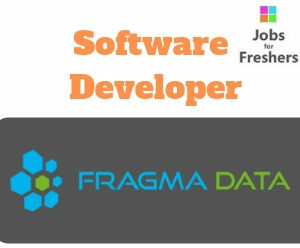 Ltd.
Fragma Data Systems is a software consulting services provider in the niche area of Big Data and Machine Learning Technologies to clients across the Industries and Verticals.